The Water & Wastewater and Building Automation industries are two key ingredients in our everyday lives and yet so often go unnoticed. In fact, the only time most people become aware of them is when a problem arises somewhere along the line. VACON® 100 Flow is designed to ensure pump and fan solutions control air- and waterflow quietly, efficiently and without interruptions. VACON 100 FLOW builds on a long and illustrious track record in the industry. Vacon has produced a number of significant innovations ever since the company’s founding in 1993. In 1995 we introduced a Multipump application. VACON 100 Flow further develops Multimaster technology, first introduced in 2002, to provide functionalities that significantly extend flow systems’ lifecycle and reduce operational costs. Compared to conventional control schemes, VACON® AC Drives are typically able to reduce energy costs by as much as 30% in pump and fan applications, usually offering a return on investment of less than a year. 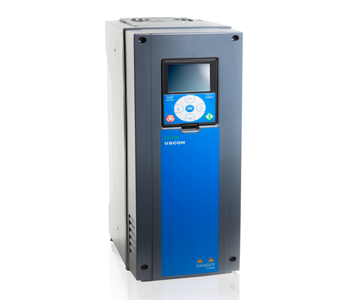 VACON® 100 FLOW is an AC drive dedicated to improving flow control in Water & Wastewater and Building Automation applications. It combines the core functionality of VACON® 100 with dedicated functions that are specifically designed with flow control application processes in mind. VACON 100 FLOW is available in a number of frame sizes with either IP21/UL Type 1 or IP54/UL Type 12 approved enclosures. It has a power range of 0.55 kW/0.75 HP to 160 kW/250 HP and a voltage range of 230 V to 500 V.
MGP Tas Pty Ltd are the Tasmanian distributor for Vacon Drives. Contact us today with any enquiries.